A former co-convener of the ‘Our Mumu Don Do’ group, Deji Adeyanju, has again attacked his ex-partner, Charly Boy, for allegedly receiving money from politicians to comprise on the doctrines of the civil rights group. Adeyanju had resigned his membership of the group shortly after regaining his freedom from prison. He had been remanded in prison after the police re-launched a 2009 murder case against him, of which he had allegedly been acquitted of. On returning from prison, the activist said he was no longer confident of Charly Boy’s leadership of the group, hence his resignation. “Deji was at my residence a day before his social media rant. He didn’t tell me anything about his planned resignation from the group. If he had real issues against me, he would have raised them when he came over to my place,” he said. 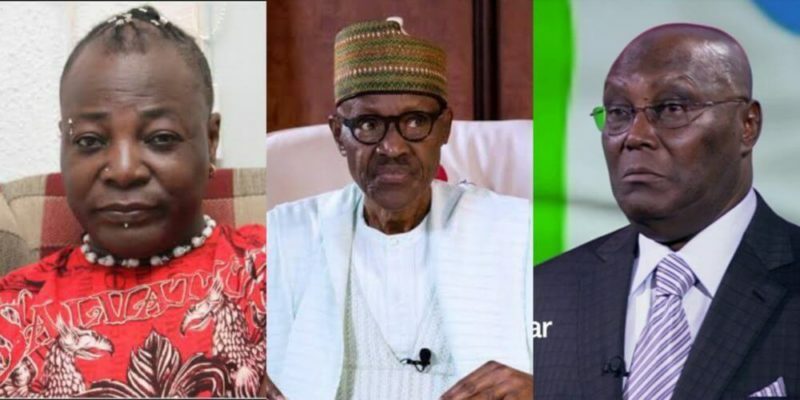 But reacting to his submission, Adeyanju threatened to release recording of Charly Boy’s alleged confession, where he admitted to taking money from unnamed politicians in the run up to the presidential elections to stop attacking President Muhaammadu Buhari’s administration. Adeyanju claimed part of the deal Charly Boy had with the politicians was to allegedly channel his attacks toward the main opposition Peoples Democratic Party (PDP) presidential candidate, Atiku Abubakar. “I didn’t want to respond or ever say a word about my withdrawal from Our Mumu Don Do but going through this vanguard report, I must now clear the air,” said Adenyanju. “Charly Boy is the number one Mumu in Nigeria. “He compromised by collecting money from the government while i was locked up in prison by the oppressors. He collected money from them to do a video against the main opposition candidate -Atiku and also to stop attacking Buhari. “I have the recording of his confession. “Imagine after all the sacrifices; someone will just be going round collecting money in the name of the movement. Huge disappointment. A fraud. The stories are just too many,” said the activist.